By Vladislav Korostyshevskiy, MS, L.Ac. According to the majority of TCM practitioners, correct point location is essential for a successful acupuncture treatment. But what exactly does this mean? Is it better to follow textbook’s description of the point location to the letter or some deviation from it would bring better results? For a couple of years after my graduation from acupuncture school, I located acupuncture points the way I had been taught, no matter whether or not those points felt normal or unusual to me. I did it until one case about nine years ago made me reconsider this approach. I was sitting at the desk in my office when a woman in her seventies suddenly appeared in the doorway and asked me, "Excuse me, do you treat cancer patients?" As I was looking for the right words to form my answer, the woman made that task easier for me. "You see, my husband has lung cancer, and he is undergoing chemotherapy. His doctor is happy with the results because my husband’s metastases have stopped spreading. Before starting the treatment, however, he was active and energetic, but now he spends most of the day in bed. Can acupuncture help?" I explained what I could try to do for her husband and asked her whether she wanted me to address the cancer or the fatigue. She insisted that I treated only the fatigue. "He has a good doctor, and we trust him, " the woman explained. "That doctor was the one who suggested trying acupuncture to help his fatigue." We agreed that she would bring her husband in two days. To better prepare for the upcoming treatment, I decided to visit a library. I wanted to see the latest research studies on post-chemotherapy fatigue. With the help of an NYU librarian, I was able to find several articles on the subject, two of which were specific enough for my purpose. In one study1, conducted in the UK, the researchers used the same three points for all their subjects-Hegu LI 4, Sanyinjiao Sp 6, and Zusanli St 36-with marked success. The other one2 was conducted in the United States, and the fatigue of the patients who participated in that study also showed significant improvement. The American study consisted of two phases. In the first phase, the point selection was Zusanli St 36, Diji Sp 8, Yinlingquan Sp 9, Guanyuan CV 4, Qihai CV 6, and, in patients whose axillary lymph node dissection did not present the danger of lymphoedema, Quchi LI 11. In the second, the point selection was slightly modified to Zusanli St 36, Sanyinjiao Sp 6, Guanyuan CV 4, Qihai CV 6, Taixi Ki 3, and Shufu Ki 27. "If I can't come up with any other option, then I’ll just use one of these combinations, " I thought. But things would not turn out as I had expected. I had not seen patients with late stage lung cancer before. The two things that immediately attracted my attention about that patient were his alarmingly pale face and his laborious breathing. He struggled to draw every breath, and every time he did, I could hear gurgling and whistling sounds. To my surprise, his exhalation did not take nearly as much effort. Besides the 72-year-old man’s fatigue and occasional dizzy spells, he had no appetite or thirst. His digestion, on the other hand, was fine. His tongue was wide, pale, with a thick, white, glossy coating, but his pulse was strong and string-like. I decided to go with the Liver Qi Stagnation in the Upper and Middle Warmers with Phlegm Accumulation in the Lungs as a working diagnosis and started treatment. During the first three sessions, I used Zusanli St 36, Sanyinjiao Sp 6, and Qihai CV 6. The patient reported that he still stayed in bed most of the day but did not sleep as much and felt a little bit more energetic. The patient’s pulse had become noticeably more forceful, but that forcefulness was mostly in its wiry quality, which made the detection of other qualities in his pulse virtually impossible. To disperse that string-like quality, on the patient’s fourth visit, I started the treatment with a brief stimulation of four gates-bilateral Hegu LI 4 and Taichong Lv 3. Within three minutes, the patient’s breathing had become less audible. As I was looking for points for the second part of the treatment, I noticed that a point about a finger-breadth inferior to Zusanli St 36 was abnormally tight, more so on the right side than the left. I found a similar abnormality near Shousanli LI 10, but only on the right side. There was absolutely nothing that would have made any of the points on the patient’s abdomen stand out. The Jingqu Lu 8 at the left wrist, however, had a thick, rubbery feel to it. 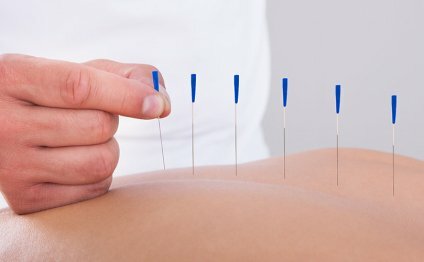 During the following three sessions, I began each treatment with a five-minute stimulation of Hegu LI 4 and Taichong Lv 3, followed by needling all points that seemed abnormal to me. The results were remarkable. The patient’s breathing became much quieter and more effortless, a twinkle appeared in his eyes, he reported that for the first time in several months he had an appetite, and he began taking daily walks-sometimes twice in one day! At that point, he started coming for treatments once a week for the next month and then once every couple of weeks. Four months had passed since I last saw him, and I decided to give him a call to ask how he was doing. His wife picked up the phone, sighed, and said that her husband passed away two weeks ago. I was shocked. While treating him, I was so absorbed in searching for effective points that I had absolutely forgotten about the late stage of his disease. While in acupuncture school, several instructors told me to pay attention to points that feel unusual, but only rarely did I remember their advice. Instead, I sheepishly followed the textbooks' locations. For some reason, after treating this patient, I no longer forget to palpate around each point that I am planning to needle. Perhaps it is because, despite the patient's passing, I still consider the treatment course successful. After all, I treated the post-chemotherapy fatigue rather than the cancer itself, and by the end of the series of sessions, the fatigue was much less of a problem. Ever since this case, if I find nothing to distinguish a point from surrounding it tissues, I reconsider my point selection, and, as a result, many more patients than usual have reported marked improvement. For example, the patients who come to see me for their tension headaches-they represent about one third of my practice-have reported that their headaches disappeared quicker and did not return for longer periods of time. While choosing the points that feel different does not guarantee amazing results-that guarantee belongs to the correct diagnosis-doing so seems to significantly improve the treatment's outcome.